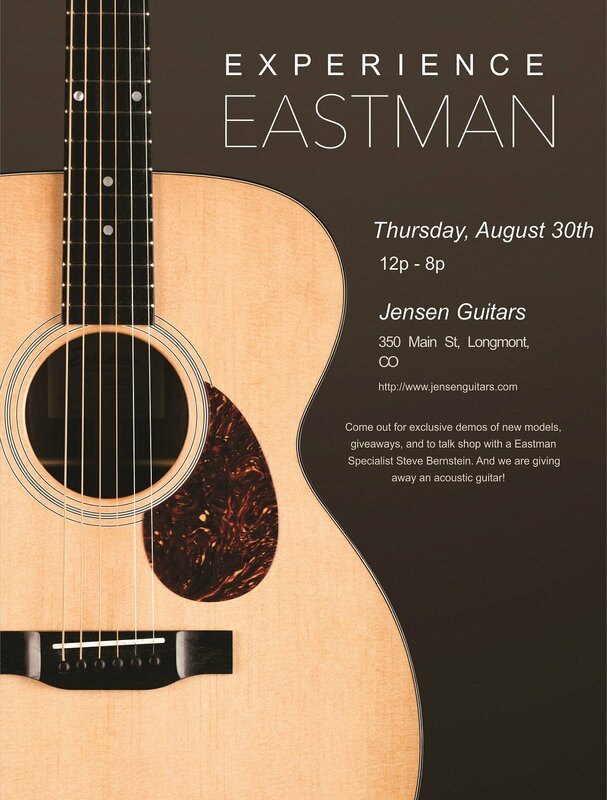 Come out for exclusive demos of new Eastman models, an acoustic guitar giveaway, and to talk shop with Eastman Specialist Steve Bernstein. This will be a store wide event and sale with everything 20% to 45% off suggested list prices. We will also be hosting an Open Stage so come play a song or two on a new Eastman Guitar!